Vort Notus De-Centralised Continuous Mechanical Axial Fan. Vort Notus has a high efficiency, electronically controlled, brushless motor. 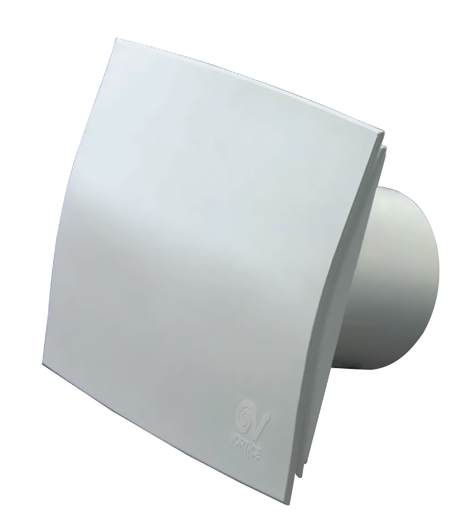 The motor housing on the Vort Notus is made of self-extinguishing (V0) polypropylene. Flange, grille and front panel made of ABS. Protection IPX4. Vort Notus Mechanical Extract Fan 100mm.